Back when we were known as Circus Skates in the early 2000's we were lucky enough to have Jason Jessee do a t-shirt design for us and have him shoot up a deck for us. 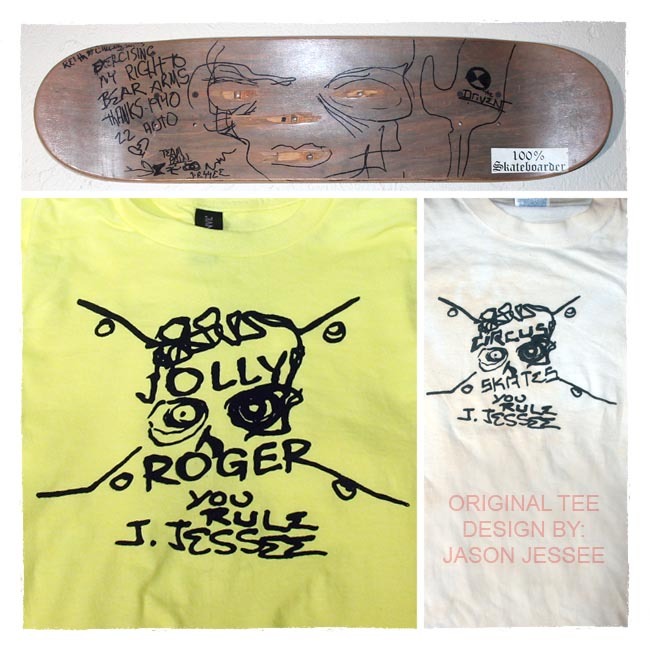 We just printed a super limited JOLLY ROGER re-issue edition of the tee. If you want one of these tees come and get one while you can.